Company Overview - JOTA BEARING CO., LTD.
JOTA was established in 1991 "and registered ISK bearing trademark in China and Taiwan in 1996." With our serious effort in the bearing field for nearly twenty years, we are fully aware of the extreme target of all the end users which is to provide them with complete specification, high quality and the lowest possible economic bearings. 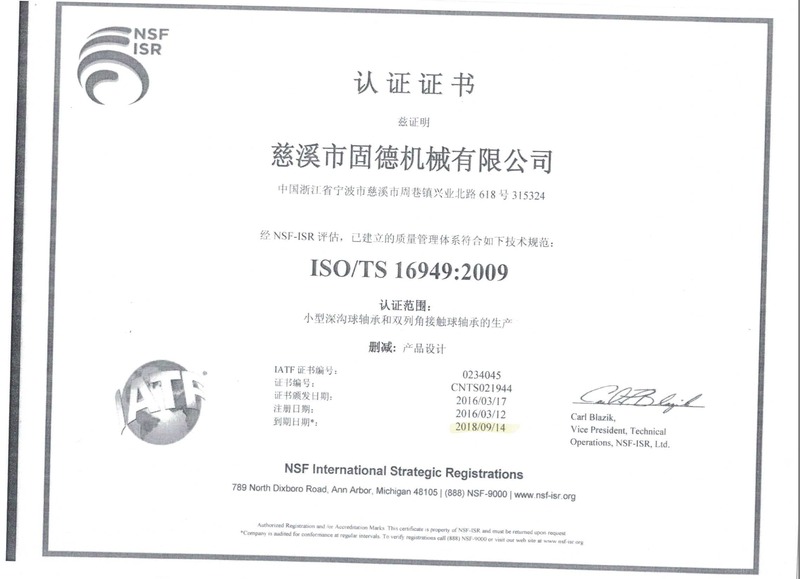 In order to supply even more stable quality to our vast customers,we established a factory in Ningbo which has recognized by special ISO.The various bearings we produce there have been inspected and confirmed by SGS to be RoHS compliant,and they are good and ready for various mechanical apparatus, sport gears, leisure models, air and power tools, precision instruments and medical equipments^etc. Beside standard specifications, custom made of non-standard specifications are what we've been focusing on for the present stage. To help you ensure the supremacy of your unique design, we'll make the specification that only belongs to you. In case you need even better quality bearings, we are also capable of supplying worldwide famous bearings of Japan or Germany origin. You are welcome to visit us or contact us by phone or by e-mail. Our service door will always be sincerely open for you. To even improve the quality of our service, we have set up branch office in Taichung, Taiwan; Shenzhen and Shanghai, China; Thailand No matter you're an old or a new customer to us, we deeply hope that you can make the best use of those offices and give us all your care and support so that we could both have an even brighter future.Our strong line bearing:*Ball bearing (deep groove, miniature, and thin bearing)*needle bearing*Thrust bearing*Rod end*bushing*Hub bearing*plastic bearing*special bearing We sincerly hope that we could have a chance to work with you soon.